Jump at your own risk. Important information about trampolines and the risks they pose. - Scarsdale Premier Insurance Agency | Advocate Brokerage Corp.
Jump at your own risk. Important information about trampolines and the risks they pose. There was a recent story that made the rounds on Facebook about a child who was injured at an Indoor Trampoline Park. The mom wrote the post and asked her friends and family to share it so that everyone would be aware of the risks these places present. After reading the post, I thought it would be a great subject for our blog. Below we will discuss the dangers of not only Indoor Trampoline Parks but also Backyard Trampolines. Let’s start with some facts. Flip or do somersaults (this is particularly dangerous because children who are injured while attempting these stunts are the ones who suffer permanent injuries). Crash into or land on another child. ¾ of all injuries happen this way! Attempt to jump off the trampoline or fall off while jumping. Land on the springs or the metal frame instead of the center of the trampoline. Broken bones. Fractures are most common. 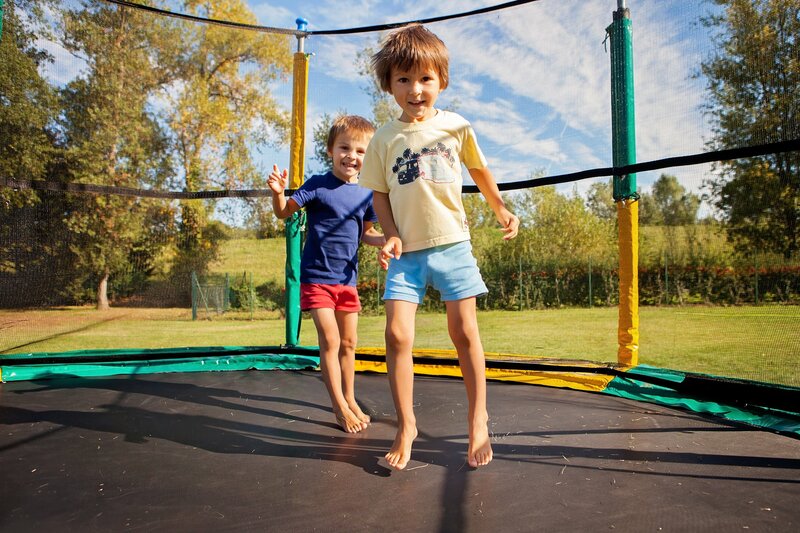 92.7% of those with fractures that occur on a trampoline are under the age of 16. Head and neck injuries which could mean a permanent disability or in extreme cases, death. No Children Under 6 Years of Age Should EVER Jump on Trampolines. I’m sure you’ve noticed that these indoor trampoline parks have been cropping up everywhere. Unfortunately, the increase in this type of family entertainment brings with it an increase in visits to Emergency Rooms. Double bouncing is allowed which can cause additional injuries. They are dangerous and at the risk of sounding like a kill-joy, the fun your child could have at one of these places may not be worth the risk if they are injured. Well, maybe not. There are too many variables to ensure that every child who jumps on your trampoline will stay safe. In an ideal world, your kid jumps and lands on their feet in the center of the trampoline and all is well. What you can’t predict is your kid losing their balance while bouncing in the air and landing on the padded springs or other kids squarely on their arm or ankle or head. When it comes to having a trampoline in your back yard, you should know that many insurance companies will not insure homeowners who own trampolines due to what they view as a dangerous exposure. That is not to say that all insurance companies deny coverage to homes that have trampolines; those companies that do allow them always require the trampoline to have proper padding and safety netting. They also generally require they be located in a fenced backyard. Additionally if you make the decision to put a trampoline in your backyard, it may be a good idea to have a conversation about a personal excess liability policy (or Umbrella Insurance) so that if you have a backyard full of kids playing and someone one is injured you are protected should the family of the injured child file a lawsuit against you. At Advocate Brokerage, we believe in educating each client we serve. Our job is to provide awareness and information so that you can make informed decisions when it comes to creating your personal insurance portfolio. If you have a trampoline or are considering having one installed in your backyard, give us a call at 914-723-7100, we would love to speak to you and answer any questions you may have.